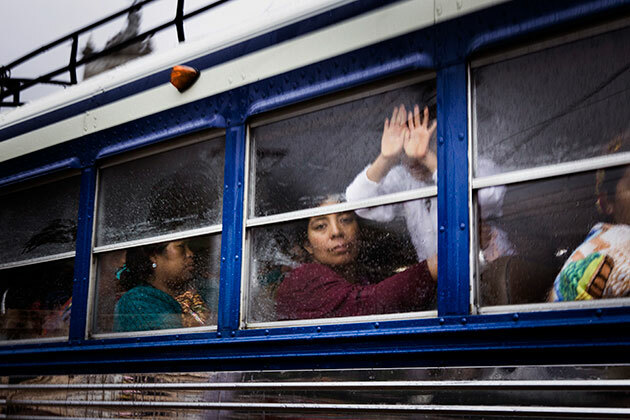 Photographer Katie Orlinsky captures the conditions driving the exodus to the United States. A child arrives at a government-run child migrant shelter in Quetzaltenango, Guatemala, after being deported from Mexico. Katie Orlinsky for Too Young to Wed, in collaboration with Humanity United. 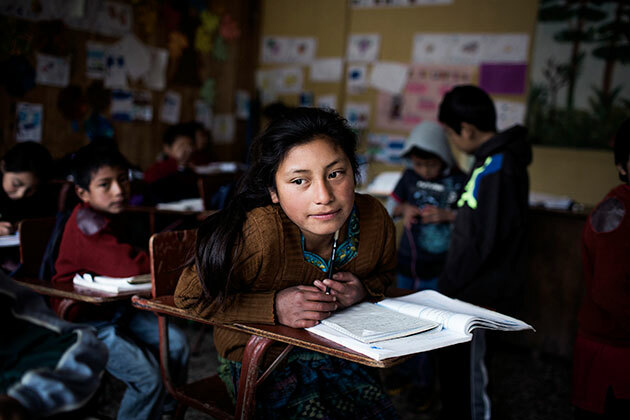 In October 2013, I traveled to Guatemala’s western highlands to report on the surge of children migrating from Central America to the United States. The largely indigenous region was more or less unchanged from when I’d lived in a village near the Guatemala-Mexico border in 2006, or when I’d returned to do graduate work there in 2009: It was poor, susceptible to natural disasters, and full of families with relatives living in the United States. All photos by Katie Orlinsky for Too Young to Wed, in collaboration with Humanity United. 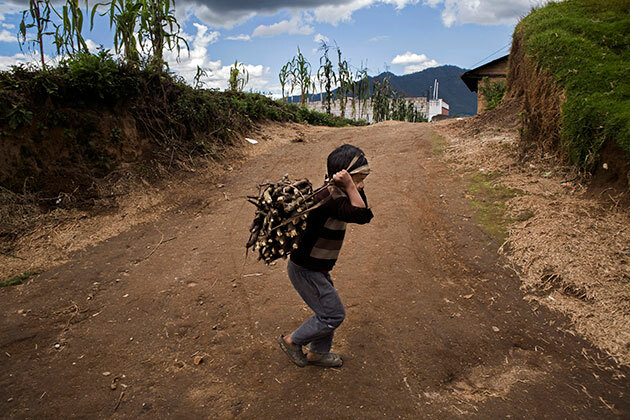 A young boy gathers wood in Quetzaltenango. The area has one of the highest levels of child migration in the country. Many of the children are economic refugees. 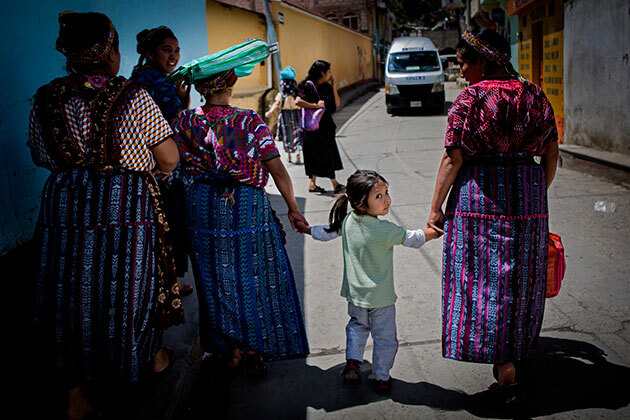 In addition, a large population of Guatemalans from the area are already living in the United States and Mexico. 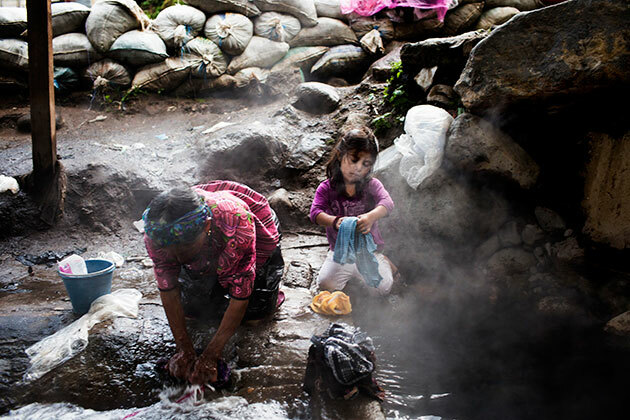 Paula (right) does not go to school and instead works washing clothing with female family members in the town of Los Duraznales. 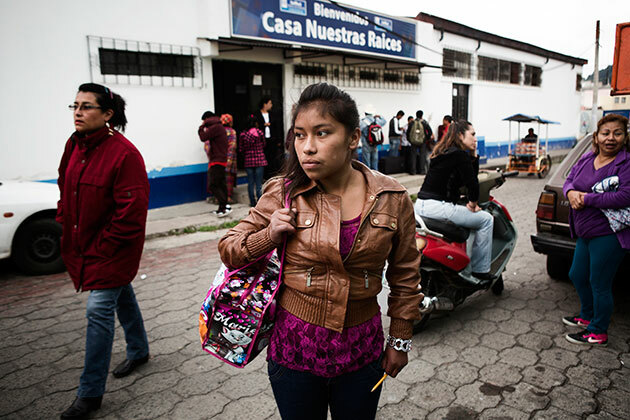 A 16-year-old child migrant stands outside a government-run shelter in Quetzaltenango. The teenager was caught by the Mexican authorities and deported a day earlier. She was on her way to Ohio to meet her mother, who left 12 years ago. 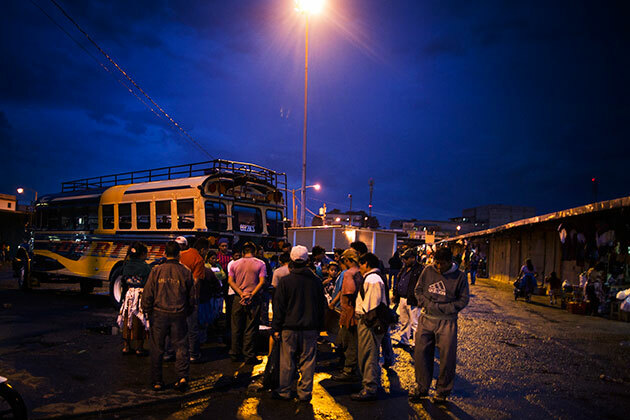 A bus leaves for the Guatemala-Mexico border from the bus terminal in the largest market in Guatemala City. 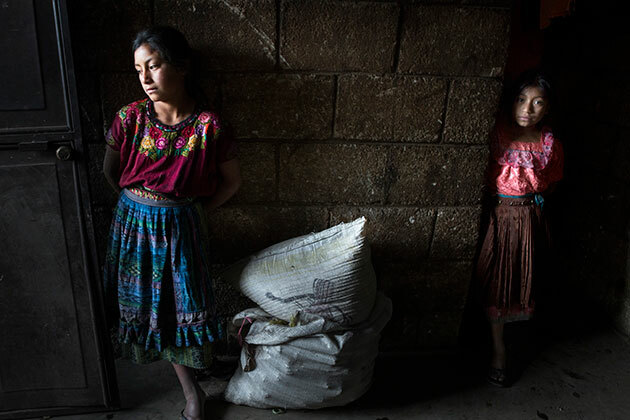 A four-year-old stands outside her home in Quetzaltenango with her aunts. Along with her mother, she attempted to migrate to the United States, but they were caught in Tuxtla Gutierrez, Mexico. Family members say they were imprisoned and abused before being deported back to Guatemala. The girl’s mother continues to be unable to eat or speak after the experience. 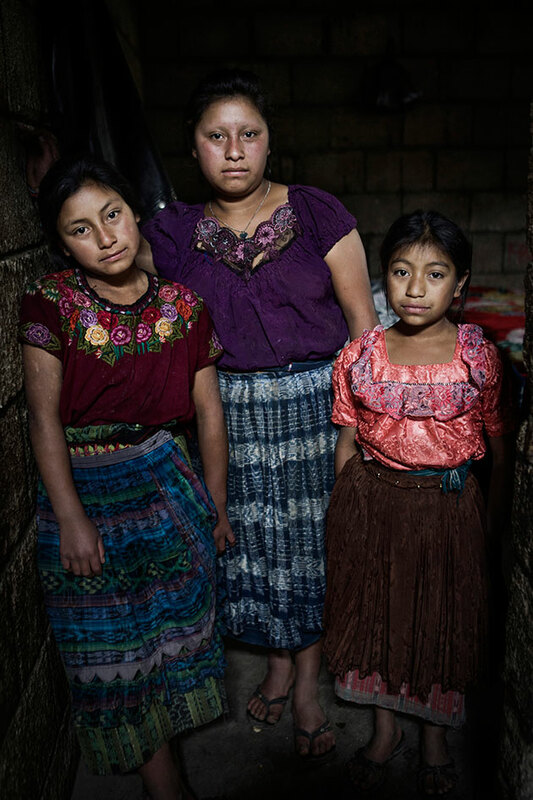 The Alonso Lorenzo sisters, from left to right: Romina, 12, Alysa Karina, 16, and Isabel, 8, in Concepción Chiquirichapa. The sisters are orphans; their 14-year-old sister recently migrated to the United States, where she works to help support them. They currently live with their aunt in a cramped two-room home. All three sisters hope to migrate to the United States as soon as they can. 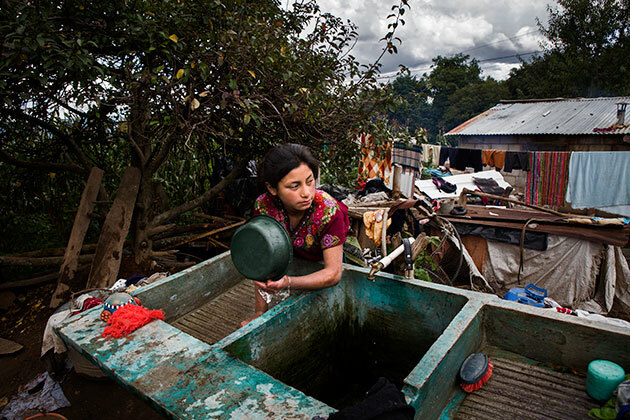 Romina Alonso Lorenzo, 12, washes dishes at her aunt’s home in Concepción Chiquirichapa. Alysa Karina, 16, prepares atole at her aunt’s home. She does not attend school. 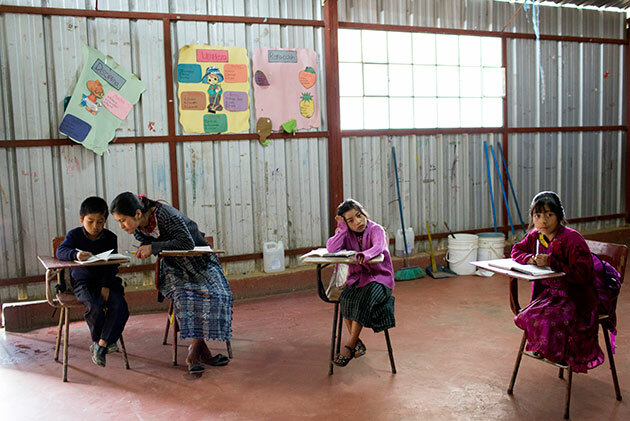 The youngest Alonso Lorenzo sisters attend the Escuela Oficial Rural Mixta al Telena. Nearly half of the school’s students have family in the United States. Many students miss days or months of school in order to work. It is common to see children of varied ages in the same grade. 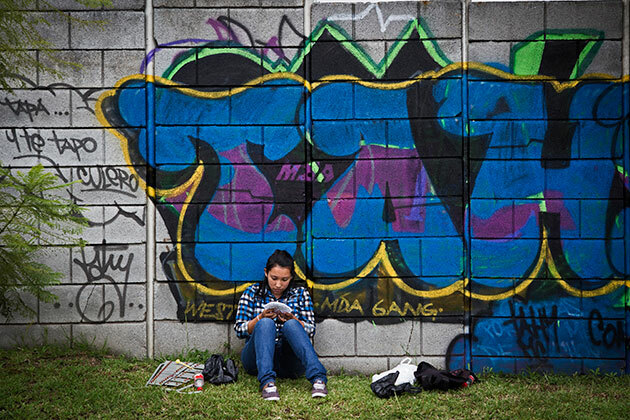 A girl studies against a wall in Guatemala City. 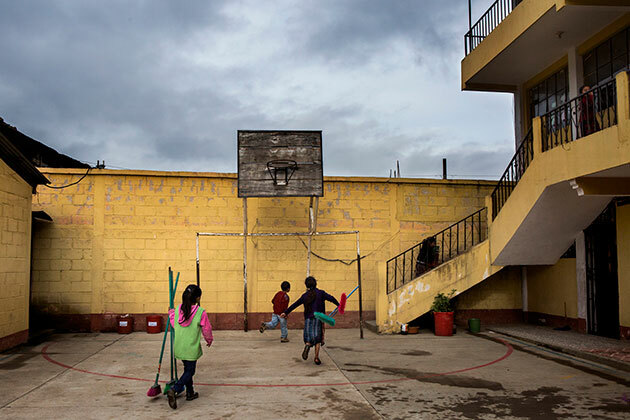 Gangs and violence are one of the leading causes for child migration from Guatemala. 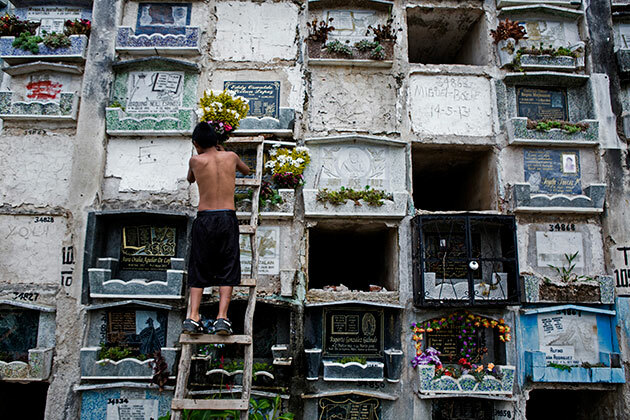 Jonathan, 13, works in a Guatemala City cemetery cutting and arranging flowers. He says he goes to school in the afternoons. 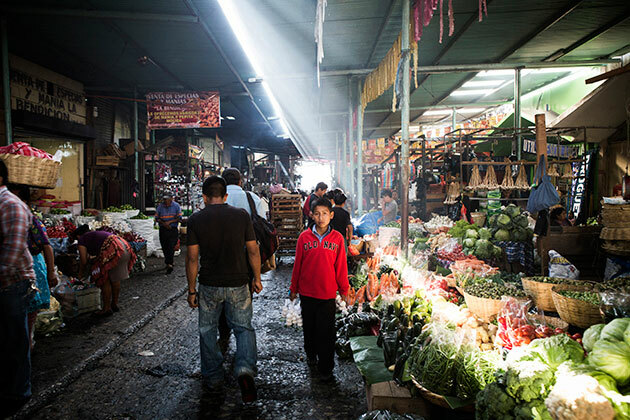 Thirteen-year-old Adonias sells garlic at the largest market in Guatemala City.